For over 25 years, Roy Brizio and the staff at his street rod shop have built some of the best looking and best driving street rods and customs in the country. His latest projects picked up a number of awards at this year's Grand National Roadster Show in Pomona, Ca. 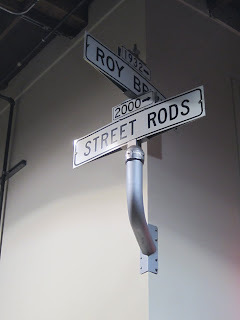 Roy Brizio Street Rods is located in South San Francisco, Ca and worth a visit if you are in the Bay Area for an automotive event. Roy Brizio and my father have been friends for many years. 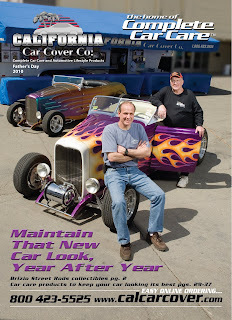 We were fortunate for the opportunity to have Roy and his father Andy participate on our Father's Day 2010 catalog cover. Inside the shop, this poster at the counter caught my eye right away. Check out the car owner using a California Car Duster to keep his Hi-Boy clean. This needs to be on display at our headquarters! A bulletin board for local auto events, periodicals and For Sale vehicles in the retail store. 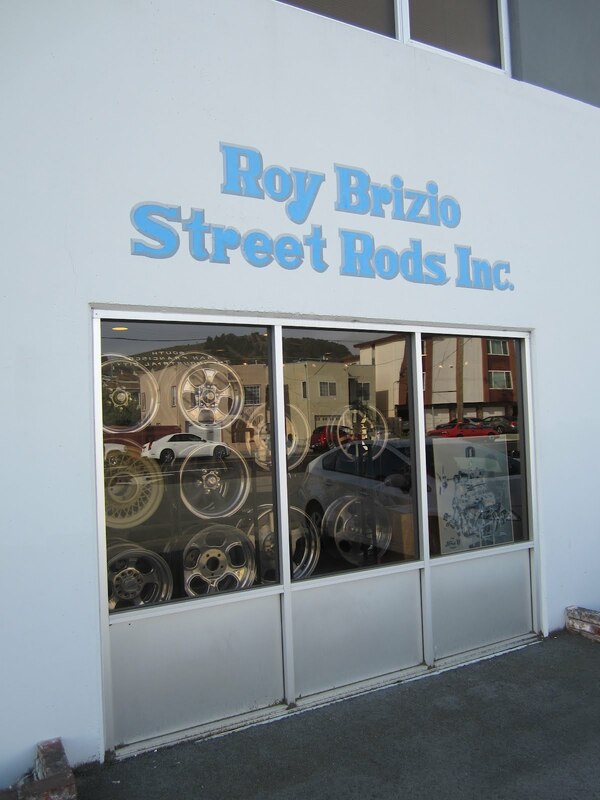 The Roy Brizio Street Rods showroom: Roy Brizio Street Rods is also one of our Golden Shine Dealers in the San Francisco Bay area. It is a great place for Northern California customers to pick up all the Golden Shine products they need. The shop carries a variety of accessories and options to make your street rod look just how you want. 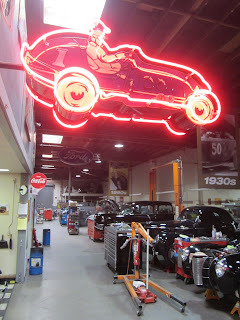 Out in the shop were many projects in various stages of completion. 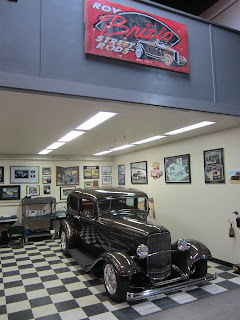 Most of the cars on hand were street rods, but there were a few muscle cars and classics in the shop for some upgrades. The Final Assembly area is the last stage for vehicles. This is where street rods and project cars get the finishing touches. 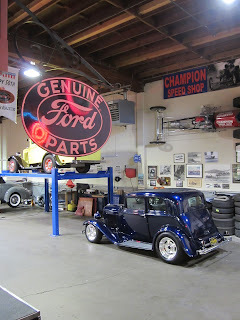 Brizio Street Rods build some of the finest automobiles for well known classic car collectors, like John Mumford and Dennis Varni, plus renowned musicians Eric Clapton and Neil Young. I thought the wall of clipboards was pretty cool. Plenty of notes on the project cars in the shop. Special thanks to Dave, the Sales Manager, over at Brizio Street Rods for letting me tour around the places and take photos. 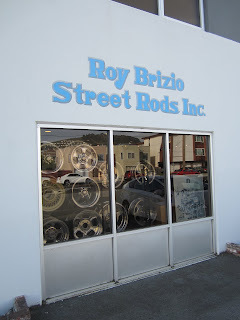 For more information on Brizio Street Rods, please visit their website. Each year, Roy Brizio hosts an Open House event and the 2012 show will be held on Saturday, May 12th. 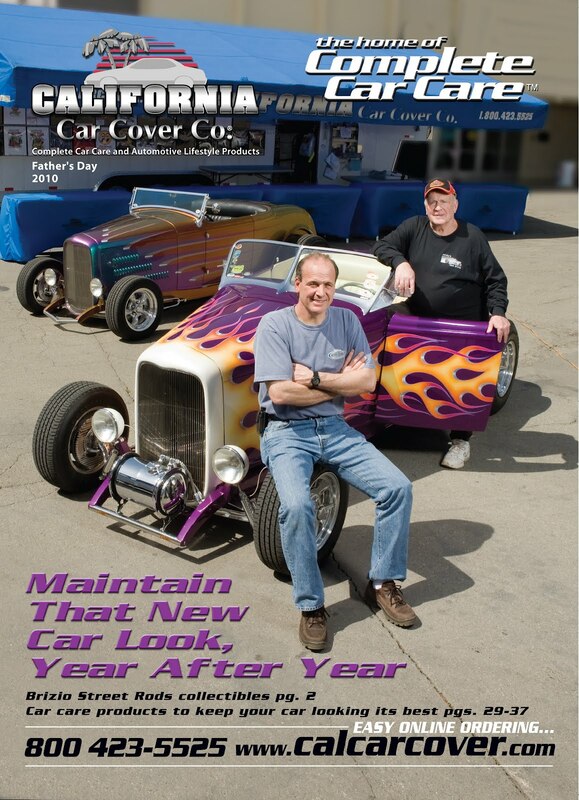 California Car Cover has been a supporter of the show for many years and you can obtain more details on the show on their website.